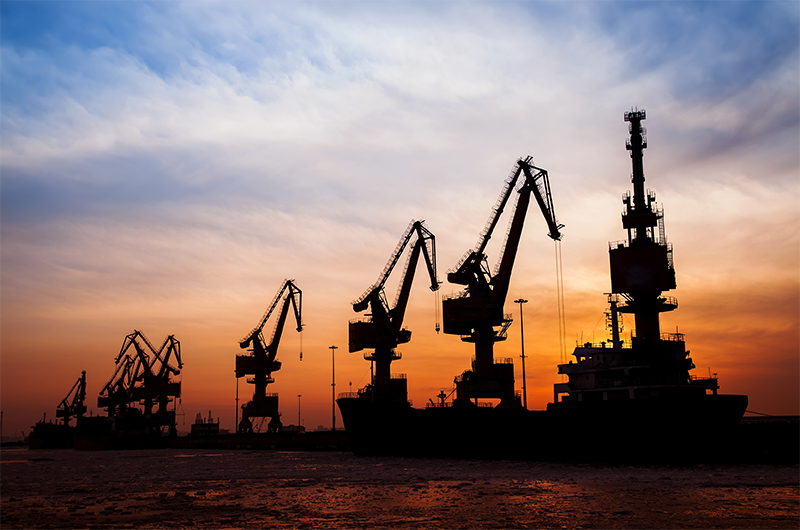 ﻿Bridon-Bekaert understands the demanding requirements of the Port and Maritime industry in achieving efficiencies by minimising down time and therefor offer total cost solutions when it comes to supplying steel wire rope. Working together with crane manufacturers Bridon-Bekaert have become a trusted and reliable supplier of ropes and solutions to the industry. Rubber tyred chassis offers great versatility around the port whilst handling a variety of cargos. Ship to shore (STS) container cranes are the center of the port productivity. Bulk unloader cranes offer efficient loading and unloading of bulk raw materials. RTG, RMG cranes and straddle carriers offer efficient movement of containers around the port. A ship lift is an arrangement for transporting vessels or for lifting the vessel out of the water. Ship derrick cranes are used to lift general cargo on and off vessels. Floating cranes are heavy lift vessels specifically designed for the handling of loads. Offshore pedestal mounted cranes are used in offshore oil and gas operations.